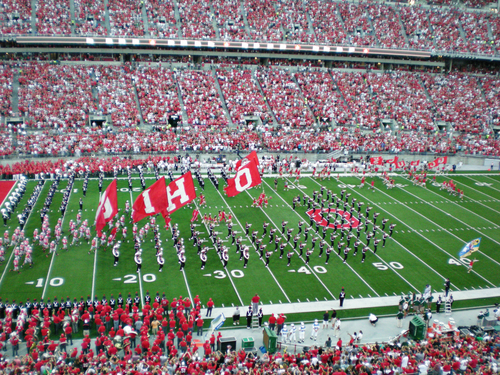 It's Football Season in Columbus, Ohio! We are stoked to see how this season turns out for the Buckeyes. If you’re looking for a chill place to watch the game while snacking on some good grub, be sure to come see us at Arch City Tavern! We keep the games on and the beer cold for our Buckeye fans. If you ask us, drafts and stone baked pizzas are the perfect combination during football season. Not a Buckeye fan? It’s all good! We welcome football fans from all over to join us to watch the fun sport. We’ll see you this Saturday for a good game warm company. Be sure to stay updated with this season’s wins and in the meantime, check out our gourmet burger menu! No Replies to "It's Football Season!"